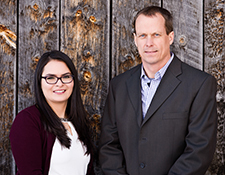 The Fuller Team - Cornerstone Home Lending, Inc.
Our goal is to provide innovative service and mortgage guidance. We love working with people, and we enjoy forming relationships with our clients built on trust, integrity and hard work. Please don't hesitate to contact us should you have questions about your current mortgage, prequalification for a new mortgage or any other home-financing needs. Also, please feel free to pass on The Fuller Team to any friends or relatives who you think may benefit from our services. Referrals are the highest compliment we can receive! Cornerstone is a full-service mortgage banker. We offer a variety of mortgage options, home loan programs, and competitive pricing from a wide range of national investors. When it comes to access to a variety of loan programs, we’ve got you covered. First, we take a look into your unique financial positioning, and help select the right loan programs for your needs. Plus, with our 15-minute* prequalification, we’ll have you quickly on the road to closing on your home! Reach out to The Fuller Team today to guide you in meeting your home-financing needs.